This week we published the amazing Trains by Robert Crowther, a spectacular pop-up celebration of trains and railways, jam packed with fun facts and pop-up surprises. "When I was a boy I used to go down to a field behind our house, where I could watch the steam trains go by from Leeds to Harrogate. It was very reminiscent of the Railway Children! 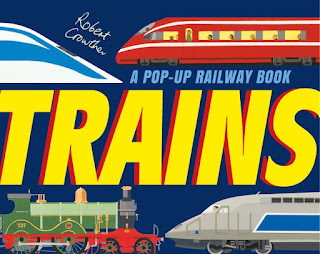 From those days I've always loved trains and going on trains and so the opportunity to make a pop-up book about Trains was irresistible. When I was making this book I thought about all the things I'd like to see in a train book if I was a boy again - tunnels, bridges, stations and trains that went very fast. It is always a fun process deciding on which trains to include in the book in conjunction with my editor. First I produce a black and white working dummy of the book showing what I think should be included in the book and what order the trains should go in. Then I make a coloured rough of each spread and once this is fixed with the text I can move onto the artwork. 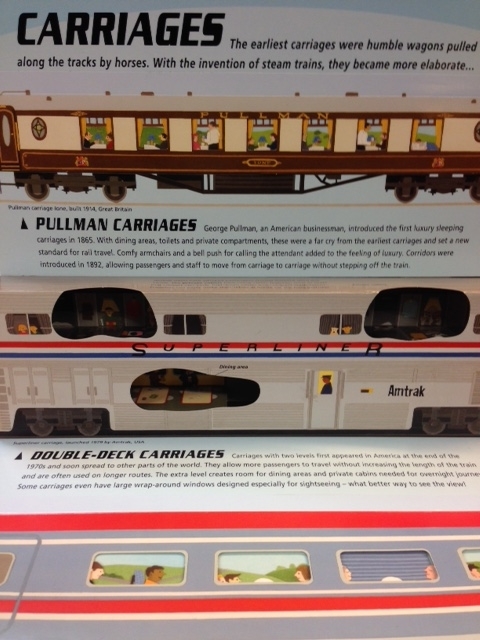 The illustrations were produced by using cut paper, which I stick down in different layers using double-sided tape. I keep all the separate colours in their own individual envelopes so I can go straight to the colour I need. This book's artwork took about five months to complete. I particularly like the new, graphic cover in this edition, designed by Laurelie Bazin, who works in the design department at Walker Books." 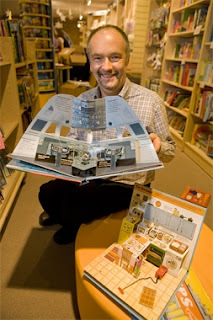 Robert Crowther, author, illustrator and paper engineer. 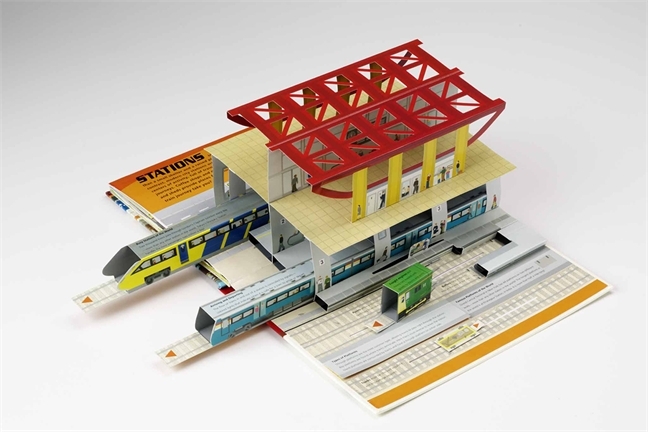 You can find a copy of Trains at your local bookshop, the perfect Christmas present for all budding train enthusiasts!